Phil Elliott is a professional drummer originally from the Ottawa Valley currently based in Toronto, Canada. Phil has been drumming for over 24 years and has had the pleasure to play and record in some of the top venues in North America and Europe. 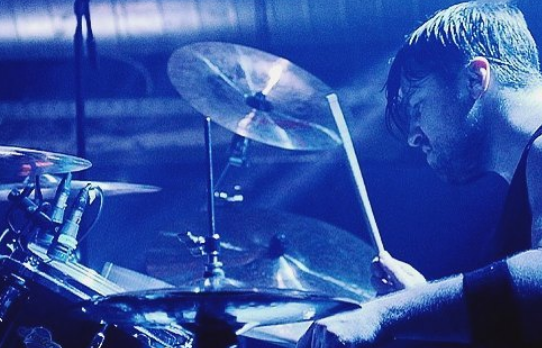 Phil recently has been the live drummer for The Birthday Massacre. Performing over 60 shows in 2017/8 across USA, UK, EUROPE. Recently they did a USA touring direct support to Jonathan Davis of KORN. Phil specializes mainly in Rock, Pop, Metal & Progressive Rock. But has also performed over the years with country, jazz, funk, rap, big band and numerous tribute bands. Artist's Phil has played and recorded with. Check Phil's blog to keep up to date with his current work.